For over 20 years, Woodmark Pharmacy has delivered comprehensive, cost-effective pharmacy services to long-term care facilities, senior living communities and other public health organizations in the greater northeastern U.S. Our team of qualified professionals and certified geriatric pharmacists works with your clinical and financial leadership to develop a customized program. Together, we understand your needs, integrate your existing system and provide the latest technologies your staff requires to care for residents and patients safely and efficiently. 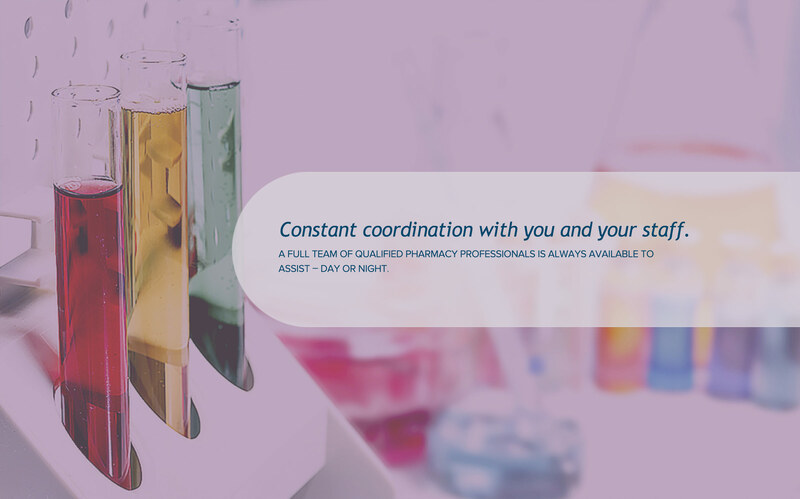 24/7 support from a full team of pharmacy professionals. At Woodmark Pharmacy, we believe that building long-term partnerships through constant communication is the key to managing medications successfully. That’s why we have a team of highly qualified professionals who are ready to help your facility’s leadership in any way. Pharmacists, registered nurses and certified pharmacy technicians will work together, analyzing your organization’s protocols and current structure to develop a tailored plan with appropriate dispensing, delivery and reporting methods for a seamless transition. Not only does your dedicated client service manager oversee day-to-day procedures, address concerns and answer questions, but they also work to identify solutions to any clinical or financial challenges you may face. A TEAM OF EXPERIENCED PHARMACISTS AND CLINICIANS. Woodmark Pharmacy’s certified geriatric pharmacists and technicians are right on site to fill orders quickly and accurately. They also work with consultant pharmacists who provide clinical oversight to contain costs and decrease liability risk. In coordination with your facility’s leadership, our pharmacists and registered nurse can implement a comprehensive clinical education program to reduce errors, improve med pass safety and review proper storage methods. Should you require immediate support for emergency deliveries, prescription approval or other issues, a fully trained representative is available to speak with you 24 hours a day. As an extension of our pharmacy team, our trustworthy delivery personnel are dedicated to your success by transporting medications in a professional and timely manner. 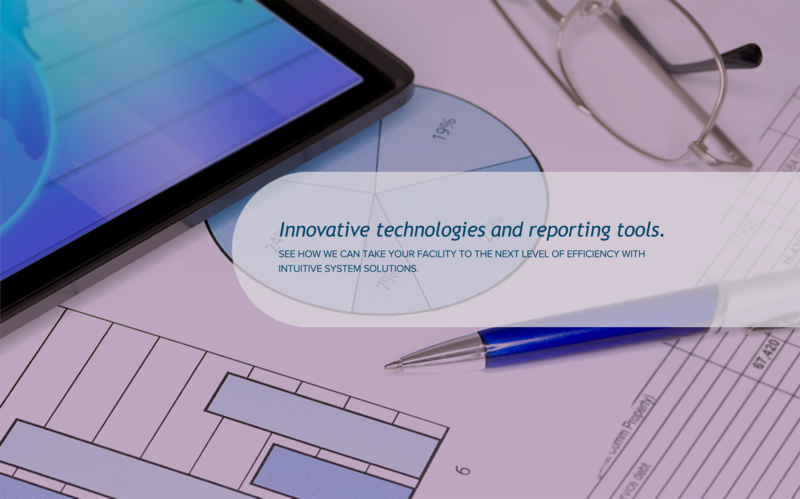 Woodmark Pharmacy’s extensive reporting and auditing tools can improve the efficiency and profitability of your facility. We tailor our software to integrate with existing technology to help you make better ordering decisions and develop strategies for cost containment and improved quality. Proven systems geared to your success. Managed through our intuitive software, your staff can easily order refills online or over the phone using the facility-specific formulary we create. Once the order is received and fulfilled by our onsite pharmacists, it is sealed with tamper-proof packaging to ensure safety and security at all times. At any point during delivery, you can confirm its exact position with real-time location services. Rush delivery is always available for emergency situations. With customer service representatives, pharmacists and delivery personnel working 24/7, rest assured knowing Woodmark Pharmacy is there to fulfill any request immediately. Instead of a one-size-fits-all solution, Woodmark Pharmacy customizes a remote dispensing system. Whether you require unit-dose distribution or a larger supply, we develop a process that works for your staff with state-of-the-art medication carts. We utilize barcoding technology for more accurate, efficient medication administration. Each patient and resident is assigned a unique code, which is first scanned by our pharmacists when the order is received, then by your staff when it’s given. Based on your distribution method, medication packages can be further customized to reduce error. *Opti-Pak is a trademark product of MTS, an Omnicell company. Based on the facility, we can provide a 7-, 14-, or 30-day medication supply with customized packaging, including Pill Vue technology for clear identification. To support your quality assurance programs, our consultants and education teams provide training in proper clinical practices and help target issues such as prescribing trends. With 24/7 customer service and prior authorization support from our pharmacists, rest assured we can get what you need, when you need it. We provide flexible medication solutions, with as little as a seven-day supply for more immediate needs and a variety of packaging options. To accommodate the diverse needs of your facility and patients, Woodmark provides flexible packaging solutions in a 7-, 14- or 30-day supply. 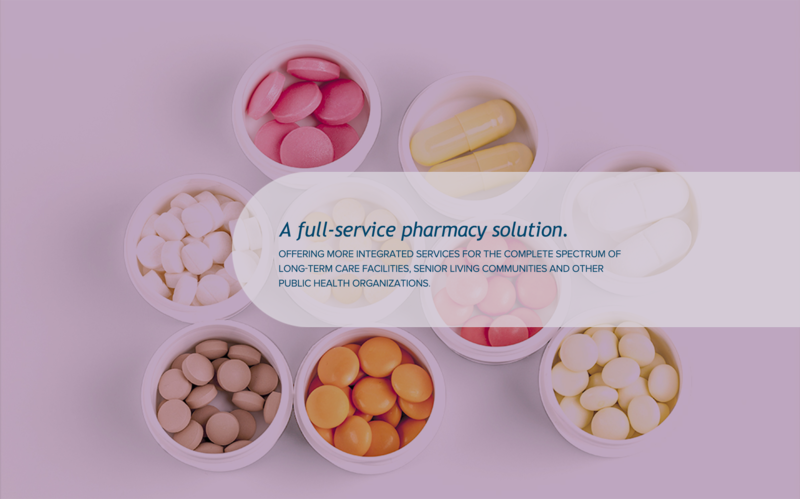 We also enhance your medication management in other ways through ongoing support from our consultants, and regularly scheduled educational programs for your staff. Woodmark’s integrated ordering, tracking, delivery and packaging system provides the efficiency your staff requires. Our intuitive software makes it easy to reorder the prescriptions, and our reliable delivery personnel ensure they arrive on time. When you have many medications to account for, flexible packaging solutions are vital. That’s why Woodmark can fill prescriptions in vials, blister packs, Medicine-On-Time or Opti-Pak™. * Our tracking system also ensures each script is accounted for and kept safe. When you work with Woodmark, we provide options. Our flexible packaging and supply solutions offer the flexibility you need with such a large, diverse population. You can also expect a consultant pharmacist for further support and intuitive ordering software to make the process easier. Our client service team conducts ongoing evaluations of educational needs through bimonthly visits to ensure your staff is up-to-date on the latest protocols. Certified pharmacists and nurses provide on-site, group training that is tailored to your facility’s needs, in addition to quarterly med pass sessions. Or, you can contact us directly to request a session when you need it. Since we’re committed to quality, our education staff also provides in-service support on state and federal regulatory compliance issues and uses audit tools to help your facility reduce F-tags. We’ll even foster new technology initiatives with non-clinical education to facilitate a more seamless transition. Established in 1993, Woodmark Pharmacy is a premier institutional pharmacy with corporate offices in New York, Massachusetts and Connecticut. Woodmark extends its coverage through these states to the entire northeastern U.S., including Rhode Island, New Hampshire, Maine and Connecticut. With a steadfast dedication to customer support, Woodmark prides itself on delivering custom pharmacy programs that integrate the latest technologies and detailed reporting so customers can make strategic business decisions with the help of our clinical, customer service and pharmaceutical teams. No matter the issue, no matter the time, our team of dedicated professionals is ready to help you with any concern or emergency. CAREERS: If you are interested in pursuing a career with Woodmark Pharmacy, Click here. If you have concerns regarding our company, then we are concerned. Don’t keep it to yourself. To report a patient safety, ethical or business conduct concern in confidence, our independent third-party hotline reporting service is anonymous and available 24 hours a day, 365 days a year. Any use of this website, or the information contained in the website, is at your own risk. We will not be responsible for the consequences of your decision to utilize the information contained in this website. The medical information provided in this website is for educational purposes only; it is not intended nor implied to be a substitute for professional medical advice. Always consult your physician or healthcare provider prior to starting any new treatment, or with any questions you may have regarding a medical condition. We are committed to the right to privacy for our patients and website visitors. When a person visits our website we may collect and track data from our site’s server. This information helps us improve the content provided on our site. Information collected may include how long you spend on our site, the pages you visit, your browser and operating system types and the name of your Internet service provider. Our website provides the capability to request information online. To process your request, we may require that you provide us with personal identifying information. All information collected is held in complete confidence. It is our policy not to share the information with third parties for any reason, unless legally required to do so or as necessary to process your requests.